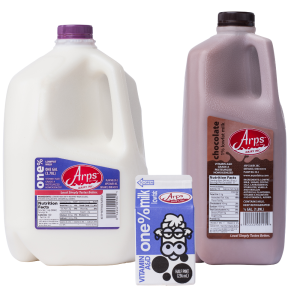 All Arps Dairy products are sourced from responsible, local family farmers within 30 miles of our Defiance, Ohio creamery. 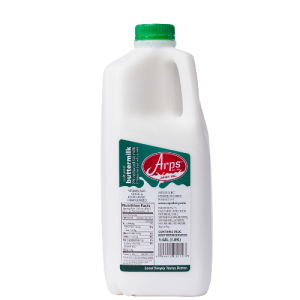 This ensure you that when you purchase an Arps Dairy product, you are getting the the highest quality product with the best taste that your neighbor farmers can responsibly produce. 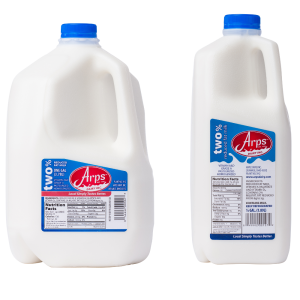 Arps Dairy products will never contain antibiotics, Arps Dairy cows are never treated with artificial hormones such as rBST, and all of our local family farmers operate under the Farmers Assuring Responsible Management (FARM) program which sets the standards for animal care. 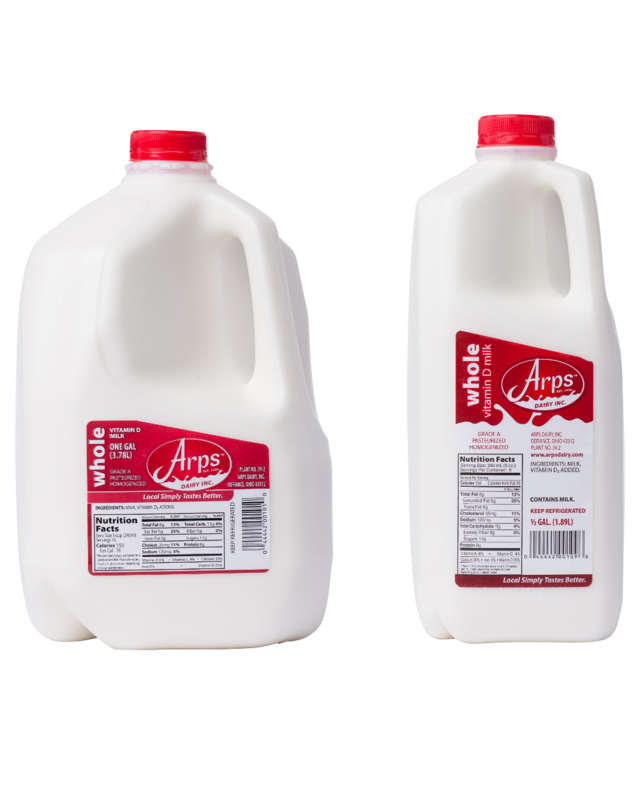 Did you know: In terms of quality, safety and nutrition, there’s no difference between organic and regular milk. Did you know: An 8-ounce serving of milk offers between seven to eight more grams of protein when compared to almond or coconut drinks. Did you know: All milk (even flavored milk) is an excellent source of 9 essential nutrients that are greatly lacking in the general American diet today. 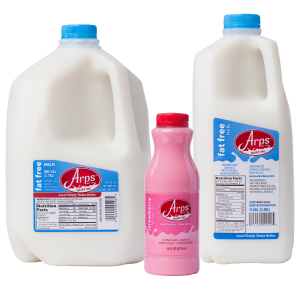 Private label opportunities for Arps Dairy’s fluid milk are available. Order quantities are individual units. To order by the case, there are 4 gallons per case, 9 half gallons per case, 12 quarts per case, 20 pints per case, and 50 half pints per case.